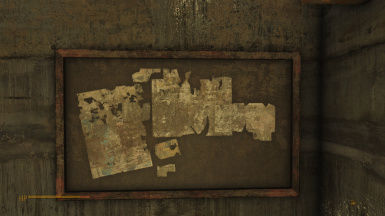 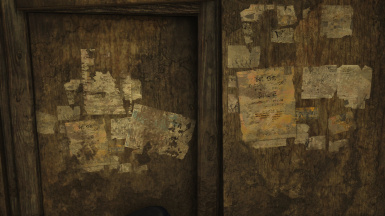 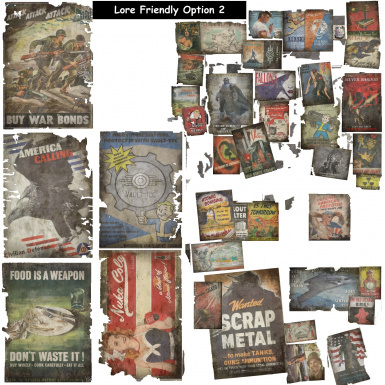 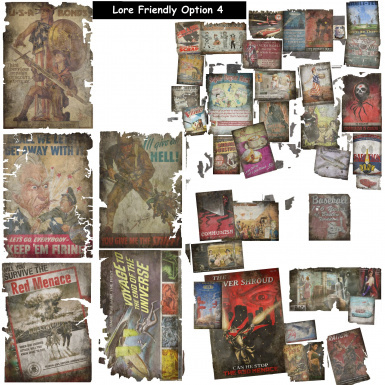 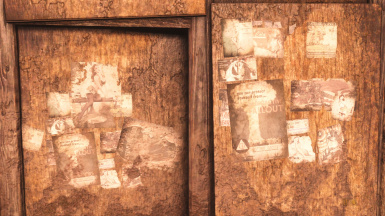 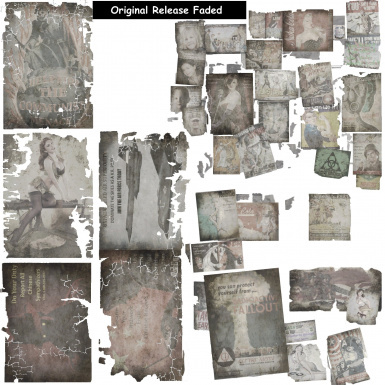 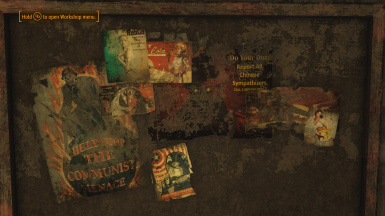 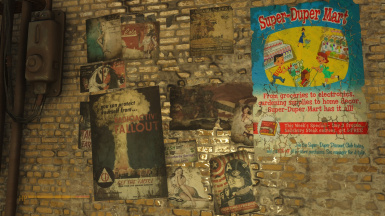 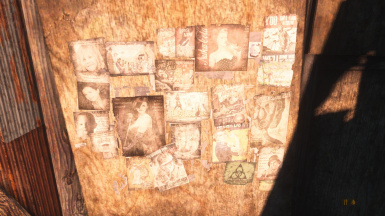 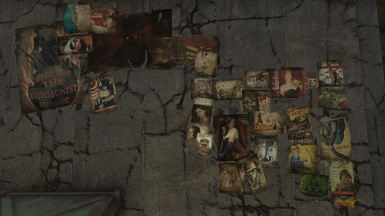 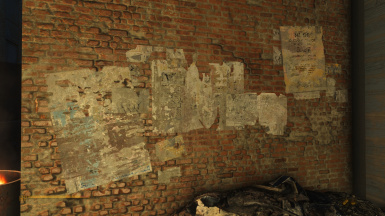 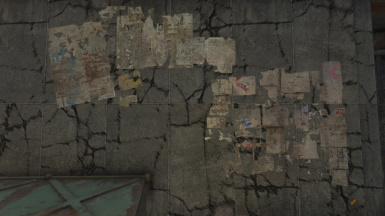 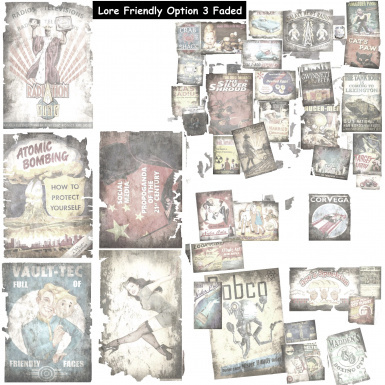 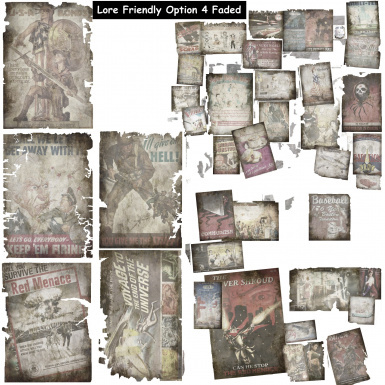 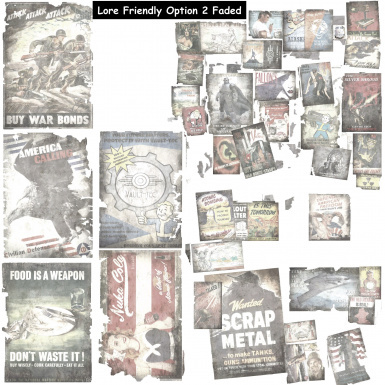 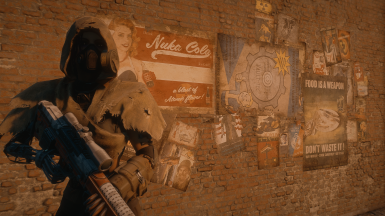 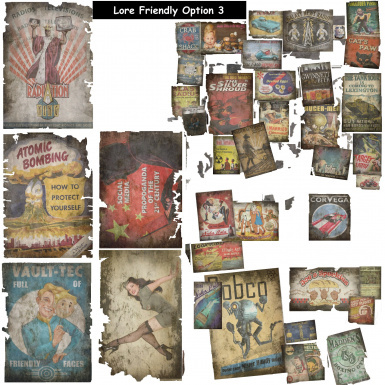 This mod retextures the flyers and posters located on buildings and note boards. 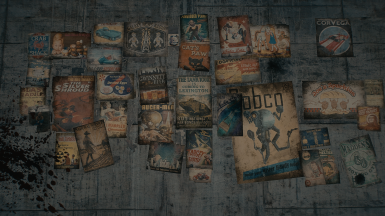 Available in 4K and 2K textures. 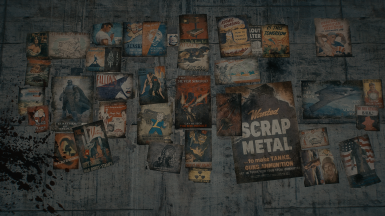 By default the game mixes and matches these flyers and posters so you frequently see them in different combinations. 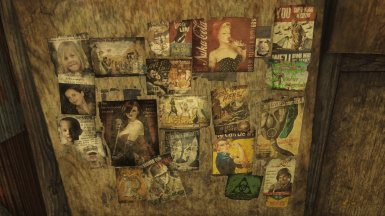 It also mixes in some of the of the other large advertisements from other texture files. 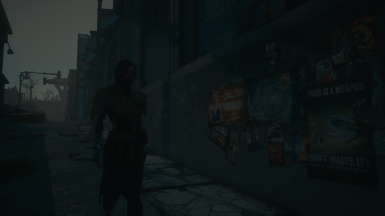 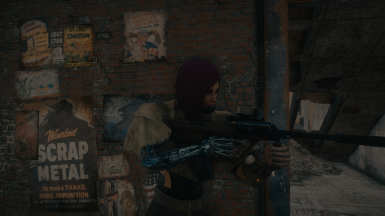 I've tested both 4k and 2k variants and have not noticed any decrease in performance. 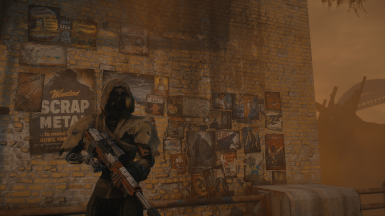 If you are using a 4gb card or greater I recommend the 4k textures by default. 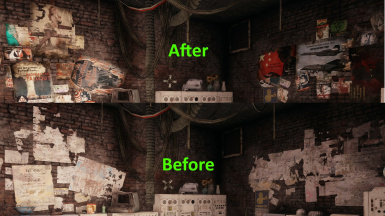 Any card under 4gb should use the 2k version. 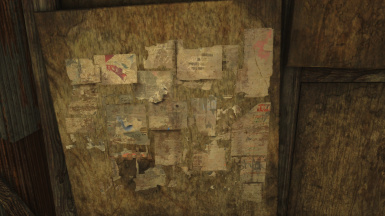 Why are some of the posters/flyers on their side or upside down? 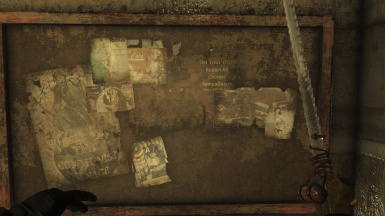 For the same reason as listed in the above "Result" section, it's just the game mixing them up. 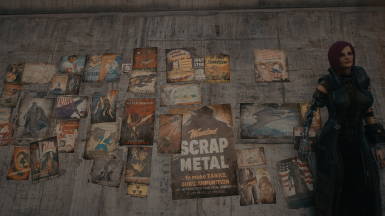 I did place the posters/flyers in the orientation they are most frequently found in. 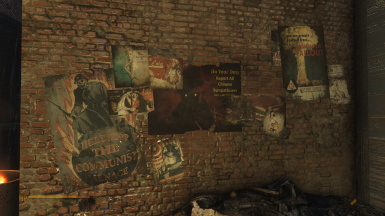 Ii's also reasonable that after 200 years some of the posters and flyers might've lost a few of their supports. 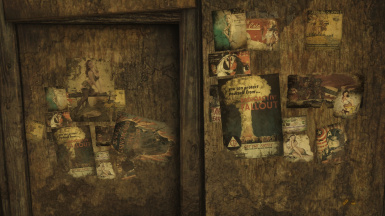 Why do I occasionally find some posters/flyers flickering? 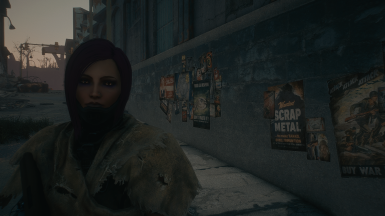 This is an vanilla bug and no fault of the mod.